Dr. James Torner has served two stints as Editorial Review Group Chair in Epidemiology dating back to 2007. His first tenure ran from 2007 until 2014, and the second from 2016 until now. We are so grateful he resumed his chair duties, because we did not find someone as productive as he was to take his place. Over the years, we have sent him 228 books on epidemiology, and he has overseen reviews of 127 of them. While he reviewed 35 of the books himself, Dr. Torner recruited 59 other reviewers as well. Dr. Torner is Professor of Epidemiology and Associate Director of the Clinical and Translational Science Institute at the University of Iowa, with secondary appointments in Surgery and Neurosurgery. He was also Head of the Division and the Department from 1991 until July 2017. He was elected as a Stroke Fellow of the American Heart Association in 1985 and fellow of the American College of Epidemiology in 1996. He was elected to the Delta Omega Society in Public Health in 2006. He has mentored over 55 graduate students and created advanced degree programs in epidemiology and clinical epidemiology and an undergraduate program in translational research. He has developed and taught classes in epidemiology design, analysis and theories, evidence-based public health, neuroepidemiology and clinical trials. His area of research is in statistical epidemiology, neuroepidemiology, disability prevention, prognostic registry studies, acute and preventive clinical trials. He has published over 365 articles. His methodological expertise is in the design of early phase clinical trials of neuroprotectants and rTPA, the design of phase III clinical trials in head injury and stroke including utilization of methods such as responder analysis, sliding dichotomy, and proportional odds regression. Dr. Torner has been the methodological leader of several research studies including the Cooperative Aneurysm Study, the International Study of Intracranial Aneurysms, and the longitudinal cohort study (MOST) of development and progression of knee osteoarthritis. He is a founding investigator of the Women’s Health Initiative and of the Iowa VA women’s health studies, evaluating the need for and utilization of services. Dr. Torner has been overseeing system evaluation of trauma and stroke registries in Iowa as well advising the Iowa Department of Health on public health evaluation and public health informatics. He is a design member of NeuroNEXT. He has been on NIH study sections as a member and serves on several OSMB and DSMB committees. His service includes state public health and national epidemiology and disease organizations. He was a founding member of the Council of Epidemiology Chairs. 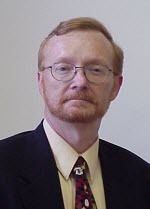 He is a current member of the Executive Committee and the Membership Committee of the American College of Epidemiology.